Trust and estate services for the changing phases in your life. Whether you are in the phase of your life contemplating the distribution of personal possessions and wealth to your heirs or you are dealing with the unexpected health of a loved one, we are here to help our clients prepare. Our mission is to simplify your financial life, no matter what life transition you are in the midst of. We take the word “fiduciary” seriously and know it is our desire and our duty to make decisions in your best interest at all times. To do that, we take the time to know your unique situation and your desired financial goals. These actions earn your trust. We provide clients with the peace of mind that comes with knowing your investments are continuously monitored and your obligations are being met. We also provide specialized services as requested. 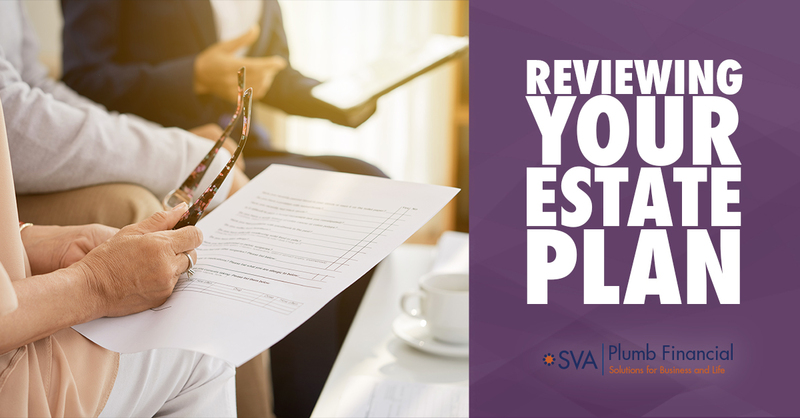 As medical and insurance issues have become more complicated, we have experienced an increase in clients choosing SVA Plumb Trust Company to process claims efficiently through a third-party provider. In the sections to follow, many of our core services are explained. But if you’re not finding what you are looking for, please don’t hesitate to contact us for personalized service. WHAT WOULD HAPPEN TO YOUR FAMILY IF YOU GOT SICK OR PASSED AWAY? Make sure your estate is in order by downloading our free eBook. SVA Plumb Trust Company offers a wide range of trust and estate services for individuals. Our trust company serves as a trustee or personal representative if we are named in estate planning or trust documents. We also serve as trustee for IRAs. Our trust officers are trained to comply with fiduciary management laws to protect and safe-keep the assets with which we are entrusted. Most trust assets are managed by SVA Financial Group, but we also provide fiduciary services for assets managed by other advisors. In either case, we recognize our duty to carry out the terms of trust documents as written. We do our best to know and understand the needs and goals of the individuals involved. These services are available to clients who use our fiduciary or custody services. They are also available to investment management clients of SVA Financial Group. Estimated Tax Payments ‐ Our trust company often assumes the responsibility for making estimated tax payments. Many of our clients enjoy the peace of mind that comes with knowing these payments are made accurately and on time. 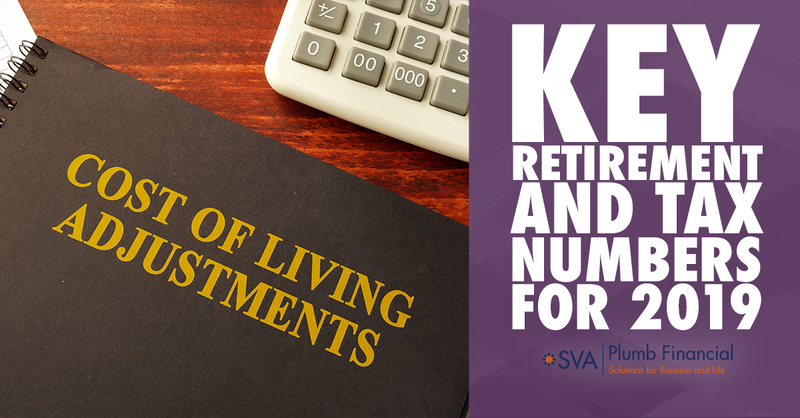 Beginning at age 70½, individuals are required to begin taking distributions from their qualified retirement plans and IRAs. We work to make this an effortless process for you by calculating the required distribution amount each year. We work with your accountant to withhold an appropriate amount for taxes and send the net proceeds directly to your bank account or a check to your home. This is all done according to your wishes. Some clients wish to take distributions from their IRAs in excess of the required distributions or before distributions are required. Your trust officer can assist with the calculations of allowable amounts and tax liabilities associated with these distributions. Bill Payment - Some of our clients are unable to pay their own bills while others choose to have us pay some or all of their bills for them. When we take on this responsibility, you can relax knowing your bills are paid correctly and on time. Medical Claims Processing ‐ As medical and insurance issues become more complicated, some clients choose to have SVA Plumb Trust Company handle the claims processing for them. Our experience enables us to assume this responsibility for those clients and to process claims efficiently through a third-party provider. Our trust company is qualified to act as a Personal Representative for estates. That role involves the gathering and inventory of assets, resolution of tax issues and settlement of the estate, including the filing of court documents and final tax returns. The depth of the SVA Plumb Trust team enables us to offer a full range of expertise in the estate management and settlement process. Occasionally an individual may require a court-appointed guardian to manage a person’s assets when that person is unable to do so. SVA Plumb Trust Company can provide this service, bringing peace of mind to family members. SVA Plumb Trust Company provides investment portfolios through SVA Wealth Management, LLC. These experienced investment management professionals work with you to define your investment objectives and to design a portfolio fitting those objectives. Our clients generally delegate investment responsibility to the manager who then provides day‐to‐day management of the portfolio assets. Your dedicated trust officer works with your portfolio manager or investment consultant to coordinate your investments with your other financial needs such as cash planning and taxation issues. Your portfolio manager will be an integral and consistent part of your trust team. Investment vehicles include individual equity and fixed income securities, mutual funds, ETFs and cash equivalents. Any mutual funds managed by other managers are screened carefully by our investment team. To learn more about SVA Financial Group’s investment management, click here. Trust assets may include non‐investment assets such as real estate. Such assets are managed by outside professionals when necessary. SVA Plumb Trust Company provides custody services, which means we provide the legal safekeeping and recordkeeping for your assets. We track inflows and outflows as well as changes in your assets. We also provide comprehensive year‐end tax information. Trading and recordkeeping become more efficient when these services occur under the same roof as the management of the investments. Consequently, clients, whose assets are managed by SVA Financial Group, benefit from the company synergy when they also choose custody with SVA Plumb Trust Company. Our trust professionals also provide custody and trust administrative services for clients of investment managers other than SVA Financial Group. We are happy to review existing estate plans with our clients, to discuss various estate planning options, and to make suggestions regarding possible estate planning solutions for discussion with your attorney. We also refer clients to attorneys for assistance in implementing new or revised plans if they do not presently have an attorney. NEED HELP DEALING WITH YOUR FINANCES AFTER THE LOSS OF A LOVED ONE? Download this complimentary eBook to stay on top of your finances during this difficult time. SVA Plumb Trust Company offers a wide range of trust and estate services for institutions. With our institutional clients, we make frequent presentations to boards of directors regarding investments. We field questions, consult on investment policies, analyze and explain report data, and discuss the assets as they conform to the investment policy. Is SVA Plumb Trust Company right for your organization? SVA Plumb Trust Company serves many types of institutional clients including university and healthcare foundations and endowments, insurance company reserve accounts, and private foundations. For institutional clients interested in using mutual funds for their foundations, our minimum account size is $500,000. For those interested in employing individual securities, our minimum account size is $1,000,000. Choose the trust option that works for you. SVA Plumb Trust Company provides administrative services through various types of client relationships. Through a traditional trust relationship, SVA Plumb Trust Company acts as trustee or successor trustee for a trust. We also have many clients who do not have trusts or who act as their own trustees; in those cases, we serve as the investment agent for the individual or for the trustee. As the investment agent, we can provide the same types of services such as bill‐paying, estimated tax payments and consulting, but the client retains complete control over distributions. Download this free resource to find out whether or not trust services are right for you. Leaving a legacy of giving. Many of these tools carry multiple tax benefits and can allow for varying amounts of control over the assets even after they are gifted. Not only does planned charitable giving allow you to continue to meet your income needs, it also allows you to assist your chosen charitable causes and still provide for your heirs. 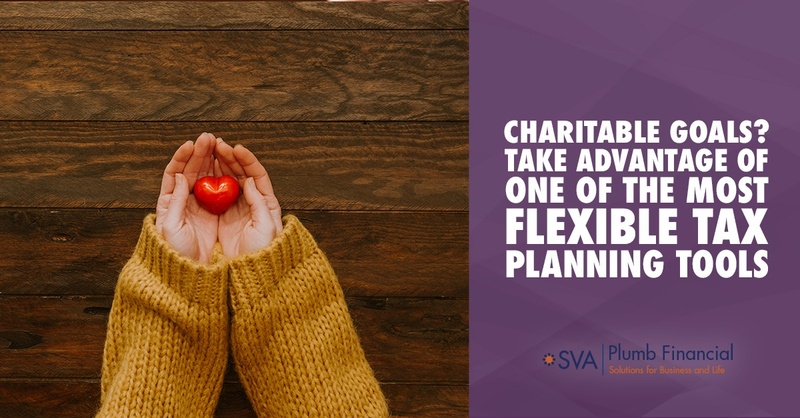 SVA Plumb Trust Company will help you maximize your philanthropic objectives while making your charitable gift as simple and effective as it is rewarding. Let us help you make a difference in your community by setting up a complimentary consultation to discuss your charitable giving options.